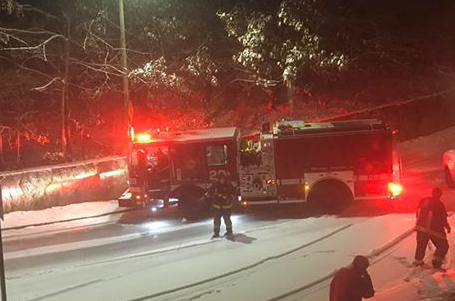 Jared McNabb reports Lake Street in Brighton turned into a skating rink shortly before 10 p.m. One BFD crew responding to help itself had to radio for help after sliding into a pole. Read more. Shake or throw a “coyote shaker” - a soda can filled with pennies or pebbles and sealed with duct tape. 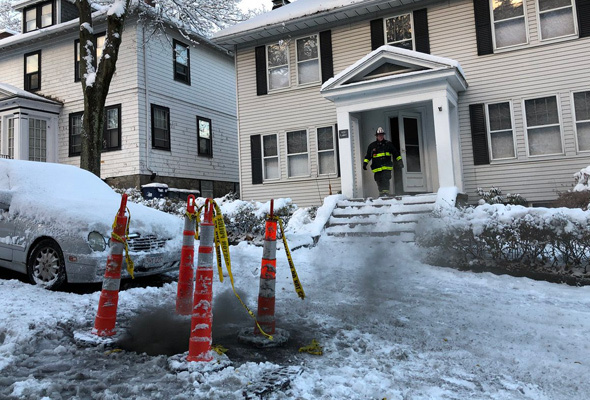 KMV shows us one of the three manholes on Lake Street that burst into flames shortly before 8 a.m.
UPDATE: Greater Boston Radio reports inspectors cleared the three manholes and ordered the power back on - and three manholes one street over promptly blew up.